Moving is a lot of work to do from segregating, packing and to loading and unloading all the items. People always want to have a hassle-free move and to ensure the safety of their belongings. Here are some tips to enjoy a stress-free move. Before you start packing your belongings it is important that you make a proper plan for how you will pack the items properly. 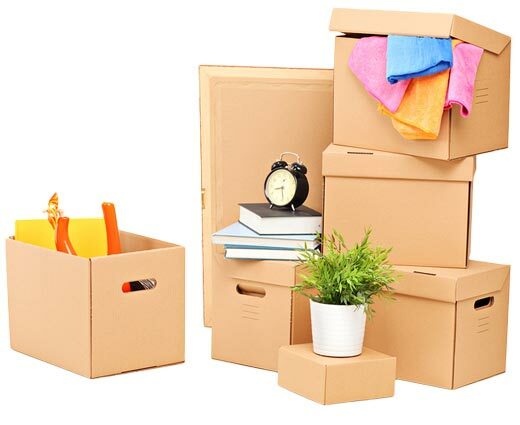 On the other hand, if you have no idea how or don’t want to exert the effort in packing all your things, you can decide to hire a professional movers to assist you in moving to your new place. Evidently, the moving company knows what to do in terms of packing the items. Although it adds to the cost of moving expenses, it will spare you from exhausting yourself. However, if you want to cut the cost in moving, you can decide to ask the moving company for suggestions or recommendations on the proper packing of items. The things you will need should be on hand to have a well organized packing. A mover should have a heavy duty packing tape to pack all your items. Rope and cords are also needed in packing your items. Roll of butcher paper is used to avoid smudges on your furniture. Markers are used to mark boxes with its corresponding items inside. Filling material such as foam packing peanuts is used to avoid the items from jostling. White tissue paper is stuffed inside glasses and vases. Various sizes of plastic bags are used to place over furniture like table tops. Boxes and cartons are used to pack glasses, dishes and clothes. The following are tips to have a hassle-free packing. The kitchenware like pots and pans should be together. To avoid them damaging each other, place a piece of paper between the two. Bed frames should be tied with rope and cords. Baseboards and headboards are wrapped to prevent damage. Wrapping the legs of tables and chairs protect them from damage. Furniture like the kitchen table are placed in a multi-sized bag and taped while table tops are wrapped with bubble wrap. Butcher papers are used to wrap glasses and dishes to avoid smudges. It can be reused or disposed of upon arriving at the new place. The glasses and dishes wrapped can be stacked in a box but papers should be placed to prevent the glasses from jostling. When packing hanging clothes you should pack them in wardrobe cartons while you can leave other clothes in the drawer itself. Some prefer to pack them in bags and carry them. Books and magazines should be packed up in small boxes. Putting them in a big box without putting crumpled paper in the gaps will cause them to move about inside the box. Knowing the above-mentioned tips on proper packing you can ensure that all your belongings will be transported safely. Thus, this makes an effective and hassle-free move.